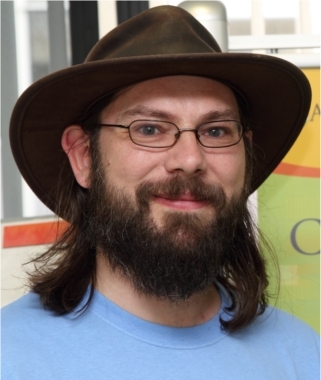 Richard Shipman, Teaching Fellow at the Computer Science department of Aberystwyth University, has extensive experience of working with Free Software and discussing its strengths and weaknesses with others. In this month’s interview he shares his thoughts on the importance of promoting it alongside alternatives, of the extension of Free Software at school level, and what role the computer sciences can play in relating the messages of Free Software to other institutions and disciplines. Chris Woolfrey: When did you first get involved with Free Software? Was it through your studies? Richard Shipman: I first used Free Software many years ago; I think I was using FreeBSD or NetBSD on my Amiga in the ‘90s. It was purely through an interest in different operating systems: I’d used a reasonable number of different mainframe operating systems and been a Vax sys admin, and was looking for something that was more like that to play with on my home machine. CW: So it was the practical rather than the political benefits that sparked your interest? RS: Absolutely. I wasn’t very aware of the political movement at the time – it was the early to mid ‘90s, when we used Gopher rather than HTTP on the internet. But it was the history of Free Software at Aberystwyth that got me really involved, and trying to build on the reputation that some of the alumni have developed in the community: Alan Cox (formerly maintainer of the 2.2 Linux kernel, and a major influence on the Linux kernel since 1991) started his degree here, and has become a friend through one thing and another. AberMUD, which is named after Aberystwyth, was the first multiuser game that I played many years ago. And I shouldn’t overlook Alun “Da Penguin” Jones, who might have had some influence on Tux. The town and university are pretty small, but there is a community of Linux users that meet up informally at the moment. I suppose that I’m quite vocal about the political side now, and I’ve been getting involved with the advocacy side a lot more in the past few years. I’m mainly a pragmatist and attempt to use the best tools for the job, and most of the time I find that Free Software is the best tool, even for novice users. It’s just that we don’t have the advertising budget that the competitors have. CW: Has a culture of using Free Software at Aberystwyth contributed to its reputation for producing great programmers and developers? RS: At Aberystwyth, we attempt to produce good software engineers. We provide an environment in which students can learn and experience different aspects of the computing industry. We provide Free Software for our departmental students as well as the “corporate standard” provided by the Information Systems department so the students get to experience both environments and make a free choice as to what they prefer. In my honest opinion, the students will gravitate towards the best tools and a lot of the time that will be Free Software. Even on the Microsoft platform, we encourage students to use Eclipse and Netbeans as their development environment, for example. Then they are also able to use the same tools on OpenSolaris desktops or on their own Linux desktops. There is also quite an active IRC culture, leading to people getting an informal training on how communication works in Free Software projects. And then there’s also the general environment where researchers have to make something work with very few resources, and that is generally done with Free Software rather than a proprietary system. Just last weekend at OggCamp, I met 4 graduate alumni who are all doing interesting things in the Free Software community. CW: Does the Computer Sciences department at Aberystwyth promote Free Software over proprietary solutions? RS: We have a very mixed culture here, but we do try to offer a balanced view. I do find myself and colleagues promoting Free Software as an alternative pretty heavily in order to counter the proprietary message coming from other parts of the university. I did build a freedom toaster a few years ago and that sits in the foyer of the department so that students can burn CDs and DVDs of up to date distributions – especially useful if they live in private accommodation with ADSL lines and usage caps. We find that we tend to spend a larger amount of time covering Linux and other Free Software than proprietary simply because the students are generally familiar with Windows when they come to us, as the school system has taught them about a Microsoft monoculture. CW: So, it’s with the aim of balancing students’ understanding of computing in general that you might promote Free Software? RS: Absolutely – the last thing that we ought to be doing in university is telling the students that Free Software is the only correct way. They should be exposed to alternatives and be able to come to that conclusion on their own. Of course, they sometime make other choices, but as long as that’s their own informed choice, they’ve at least experienced a set of options and made up their minds. CW: The reason for that, presumably, is that the university can’t be seen to favour one system over another? RS: As a department or institution it would be wrong of us to dictate that one way or the other is the only way to work. Students should be attending university to learn rather than to be taught; I’m afraid that I’m a little bit old fashioned in my opinions and expectations of students. We provide a safe environment in which they can explore options and make up their own minds. After being spoon fed in schools with “the answers” for so many years, it can take a while for them to learn that there is not one answer but many, and they will have to decide which suits them best. As for favouring one style over another – we offer a BSc Open Source Computing, but don’t offer one in closed or proprietary computing. I take groups of students to Free Software conferences, but not to Microsoft or Apple conferences; students compete and take part in Google Summer of Code, but also in the Microsoft Imagine Cup. I think that we could be seen to favour one style, but a monoculture can breed complacency and stagnation, so having a number of opinions is useful, if only to see how not to do it. Overall I believe that the department generally promotes Free Software if only to make up for the disproportionate marketing force of the alternatives. CW: So the department has a duty to promote Free Software because of its unnatural disadvantage? And does that apply to education at a lower level, like secondary school? RS: To your first question: yes I believe that we do, in the same way that society will positively discriminate for a minority; although that is not too good an analogy as it makes the Free Software community sound like the poor relation. I was angered by the recent Bristol City Council decision to adopt Microsoft over Free Software and the Computacenter gag on them to even discuss the way in which the decision was made. It was looking so hopeful for a while. The government directives about always looking at a Free Software alternative seem a little too much like lip service at the moment, but hopefully they will provide a platform from which campaigning can take place and stop companies from this kind of anti-competitive practice. As for secondary schools, if we can get Free Software into schools then it will hopefully start to mitigate the “retaining costs” that are always quoted when switching from Windows to Free Software desktops. I’ve been getting a little involved with schools through the Computing in Schools project run by the Royal Society and we’re working in Wales with that and with the Technocamps project to simply get more computing taught in schools rather than ICT. Showing the kids that there’s more to computing than just Excel and Powerpoint is vital. Computing itself isn’t being taught at very many schools, but ICT is. It’s the old analogy that ICT is like driving the car, but computing is about how to build a car, maintain it and design a better one. CW: It’s about promoting computing as an aid to thinking rather than a method of working? RS: Yes. Computing doesn’t necessarily need a computer: it’s an analytical way of looking at problems. Promoting a computing way of thinking is a way of looking at problems, promoting analytical thinking and supporting the scientific method. It is about allowing you to be creative rather than being limited to a script of known solutions. CW: Does your department encourage other disciplines within the University, such as English Literature, to take the same creative approach? And does FSFE play a role in enabling this kind of dialogue? RS: I’m not sure how much we would be able to promote things to the English department, but we certainly work with the Arts and Drama departments. We have a certain amount of interaction with them already and are able to provide Free Software solutions to problems. The development of Arduino has meant that we get requests for assistance every so often, and being able to offer that sort of Free Software solution is helpful as a way of breaking the ice with the whole Free Software discussion. I was incredibly impressed by Chris Gutteridge, from Southampton OpenData Project, at OggCamp, and what he was tying to achieve: to try to get all disciplines involved in opening up all their data sources. Personally I think that the earlier that we can get more rational thought back into schools, the better. Computing is a very good way of introducing kids to cause and effect and scientific thinking. If they’ve been introduced in schools then there are less remedial actions that have to be taken in university to help the students with whatever their choice of study is. If the data curators can be persuaded to use Open Standards then the flexibility of data becomes enormous. If FSFE can help to highlight the fact that so little data is open these days, and that it’s to the advantage of everyone that we use Open Standards, then I think that would be a very worthwhile cause. Of course there are “open” standards and Open Standards and we have to be very careful about the corruption of words by interested parties.